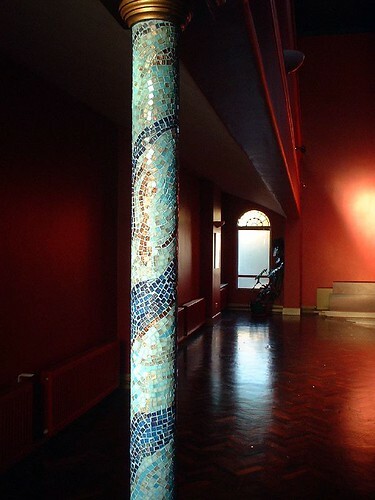 Mosaic pillar shrine room, originally uploaded by FWBO photos. Sorry George, the plain metal pole isn’t going to rate in this household unless you provide the poledancing class to go with it [http://www.shemoves.com.au]. This is much more my style. This is the first other mosaic blog I’ve come across. It’s very interesting. You might be interested in mine as well!